**this post was written by one of our summer interns, Chandler! Now that summer is here, I have more time to do DIY projects (YAY!). 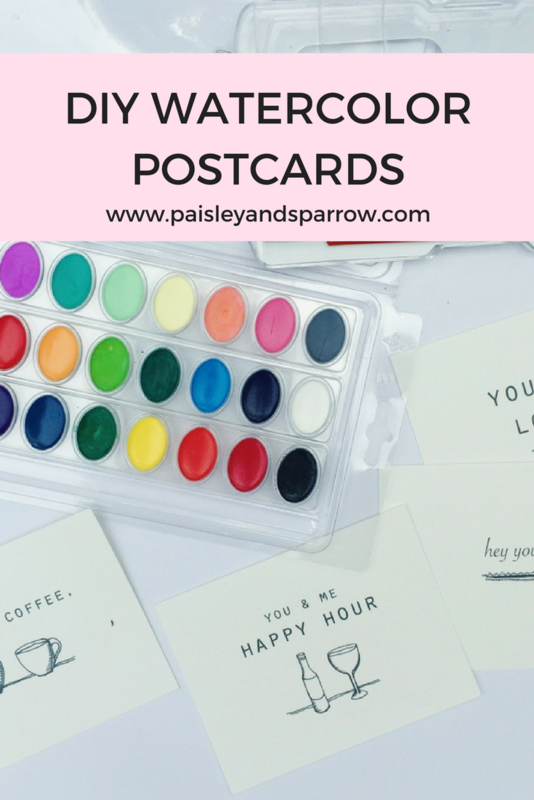 I really enjoy doing them, especially when they’re as easy and fun as these DIY watercolor postcards. 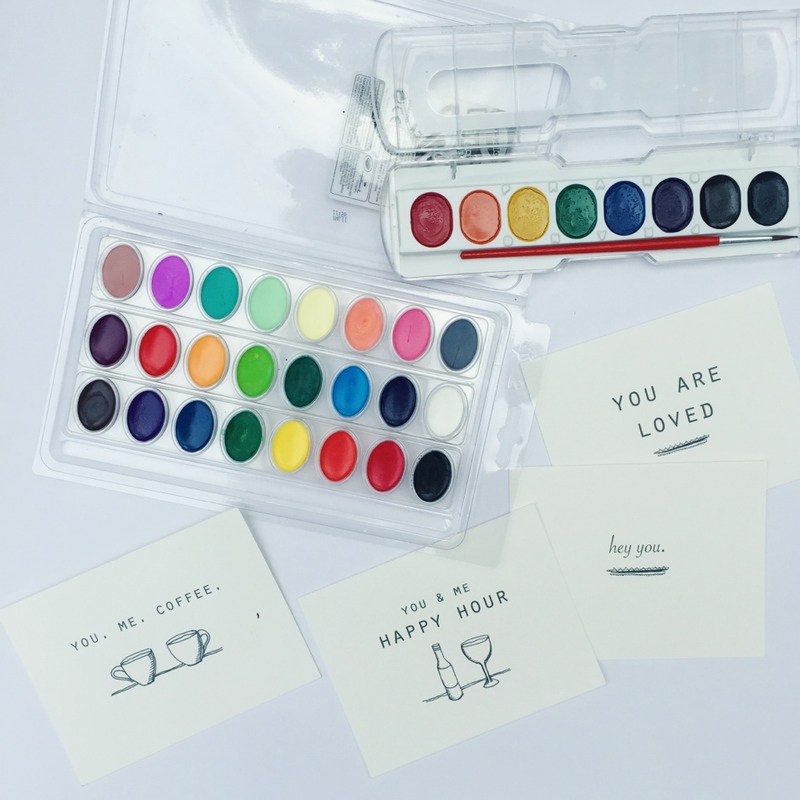 All you need to make these adorable cards are watercolors, paintbrushes, and blank postcards, pictures, drawings, etc. 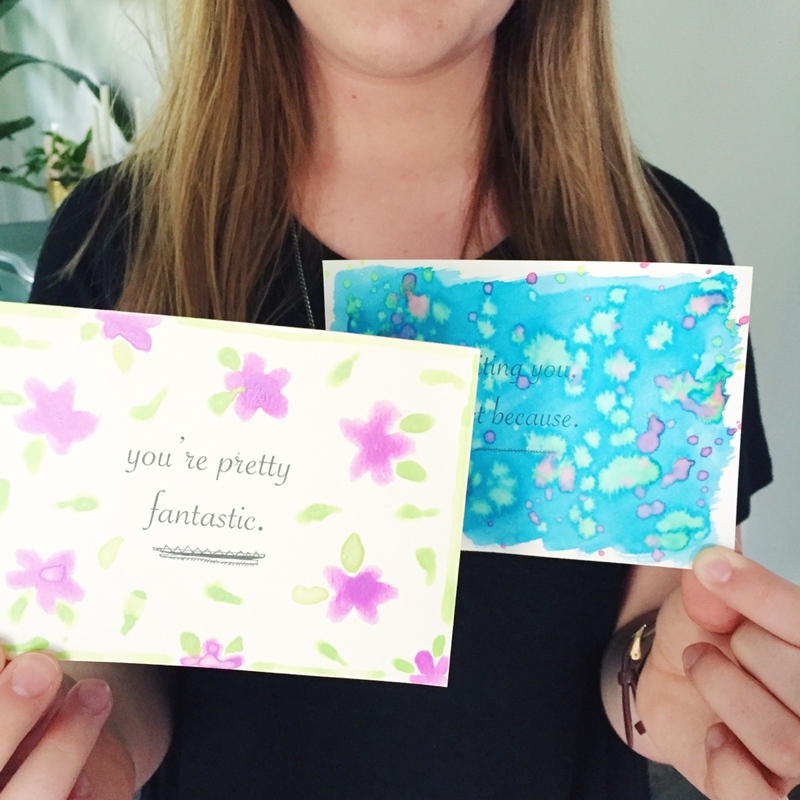 These are actually real postcards from kvp creative that we can send out to friends or family. KVP Creative has a wide variety of quirky cards and other unique designs. You should definitely go check them out! 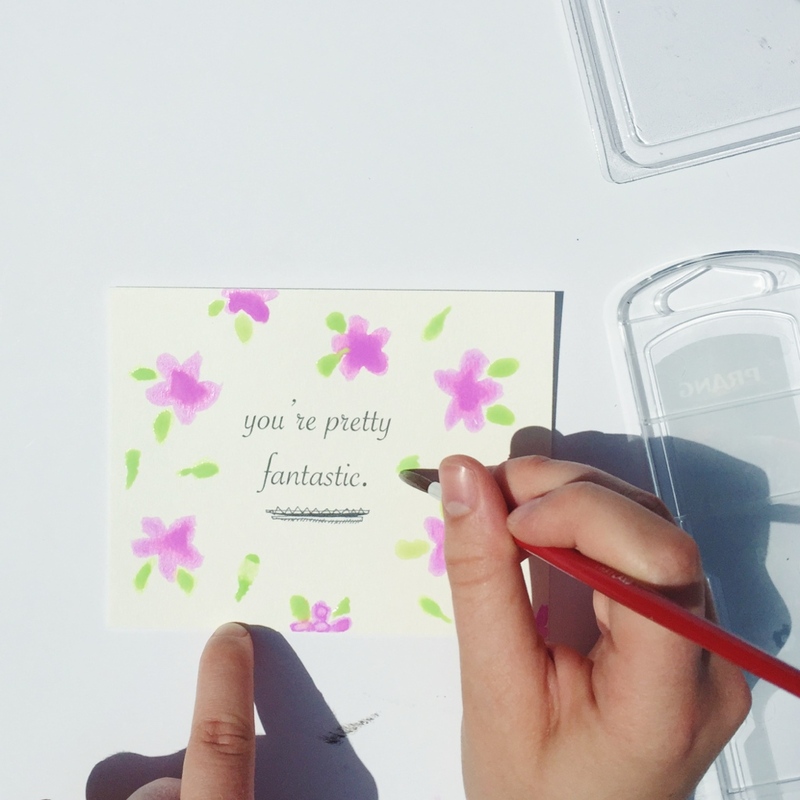 If you want a simple card that you can print out and paint whenever you want, be sure you are signed up for our newsletter because we’ll be sending printable cards next week! I love how easy watercolor painting is, plus, it’s super relaxing! It was fun to get creative and think of different ways to use the watercolor paints, such as splatter painting and mock tie-dye. These postcards are perfect to send to your friends and family just to say hi and let them know you’re thinking of them! I know I LOVE getting things in the mail, it makes my day! 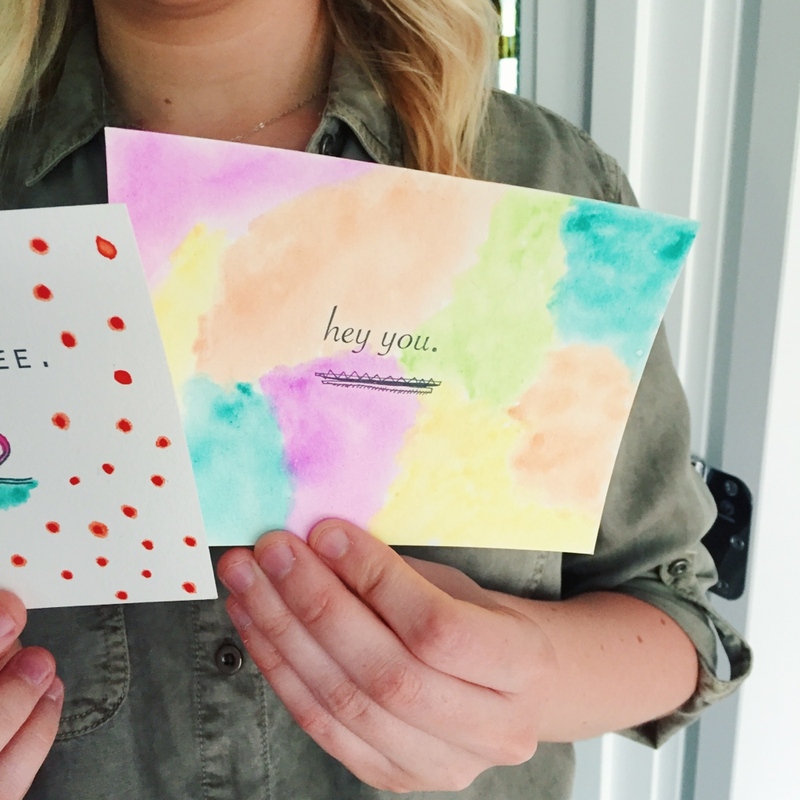 Remember to sign up for our newsletter to receive a free print out so you can get artsy with watercolors! Happy crafting!